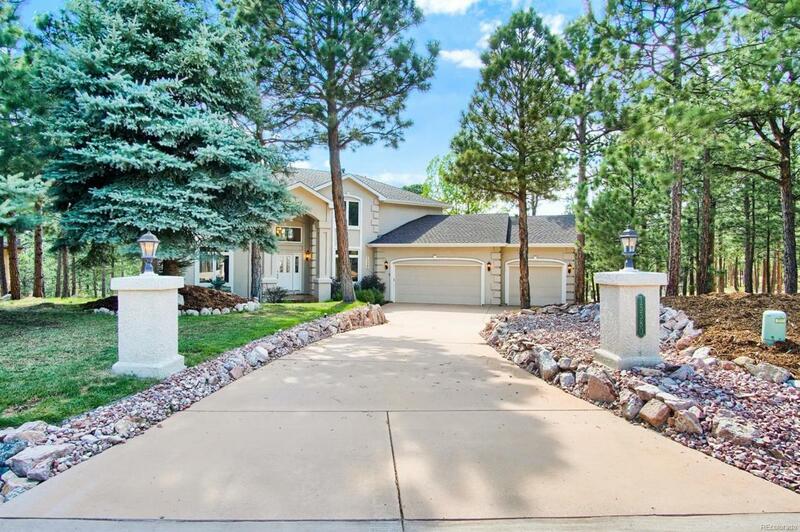 Very desirable Fox Run neighborhood with mature pines, large lots, and views of Pikes Peak. This two level 5 bedroom, 4 bathroom, walkout level home that has been meticulously cared for features a bright kitchen that overlooks the front range with stainless steel appliances and new granite countertops. Bedroom adjacent to master has been converted to a full size custom walk-in-closet. Large maintenance free composite deck was replaced May '18. Just a short drive to downtown Colorado Springs and Denver (35 minutes). If you're looking for Colorado mountain living with the convenience of nearby amenities then this home is for you! Offered by Realty One Group Premier Colorado.